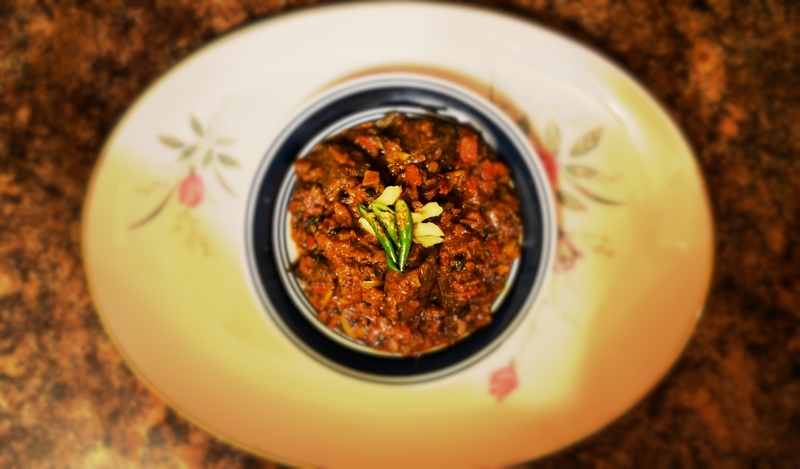 Mouthwatering Monday – Kaleji / Mutton Liver | My Journey So Far…. 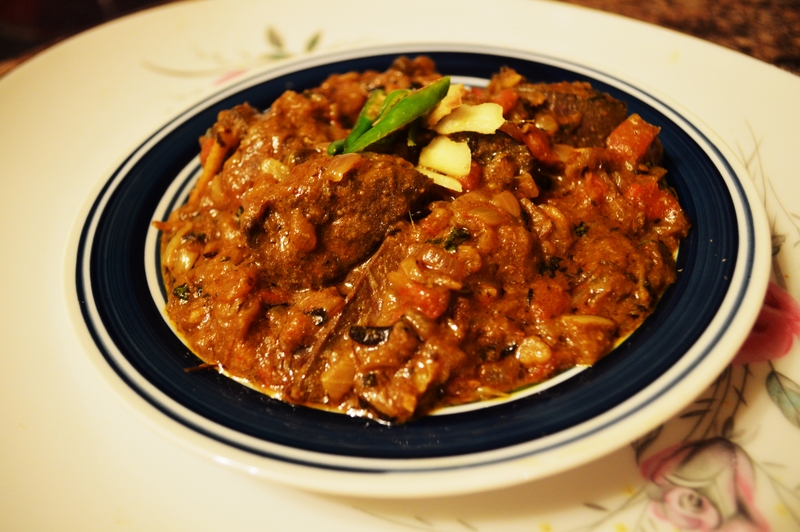 Today I am first time trying my hands at Mutton Liver, also called Kaleji in Hindi. Lets see how this one turn out. 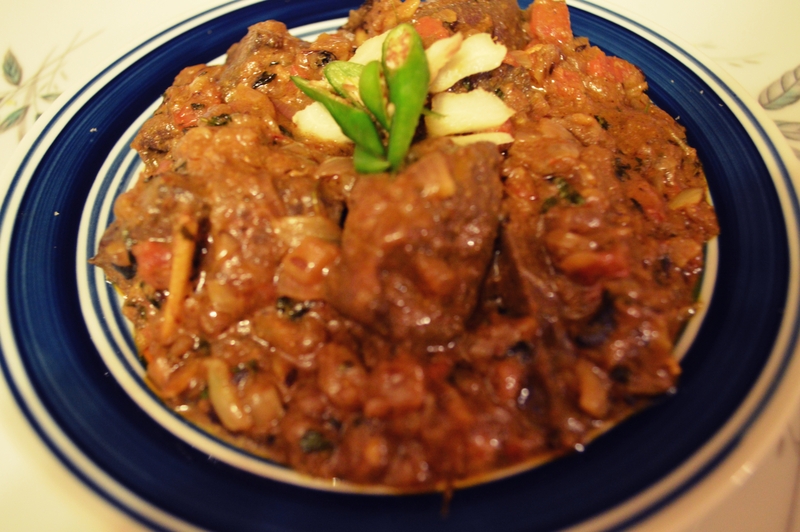 Liver of Lamb/Mutton is considered very nutritional as it is rich in iron and proteins. However special care should be taken to not overcook it. Heat oil in a pan and add Black Pepper, Cloves, Cinnamon, Black Cardamon and cumin. Add onions and Ginger Garlic paste, and cook till onions turn golden brown. Add liver to it, and cook on until liver change it’s color. Cook on Low-Med heat now, and add cook liver until all moisture dries up. Add spices, red chili, turmeric and coriander powder. Mix well. When oil start leaving from the sides, add tomatoes. Cook till tomatoes are cooked perfectly and gravy becomes thick. Mix Yogurt to the whole gravy and cook for another 3 minutes. Add fenugreek leaves, julienne ginger pieces, green chillies and salt. Cook for 3 more minutes and done. Garnish with green chili and julienne ginger. It’s a nutritional recipe, but to make it more effective and healthy, reduce the amount of oil/butter used. Do not overcook it otherwise it will become rubbery. One thing to remember is that do not cover the lid of pan, when cooking liver. Pingback: Mouthwatering Monday – Indian Bread – Kulcha | My Journey So Far….